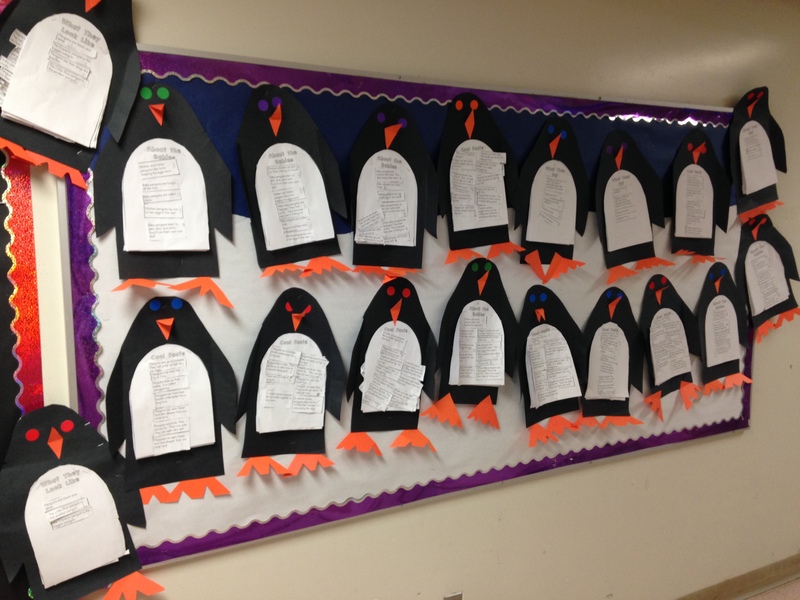 Penguins | Mrs. Anton's Class! 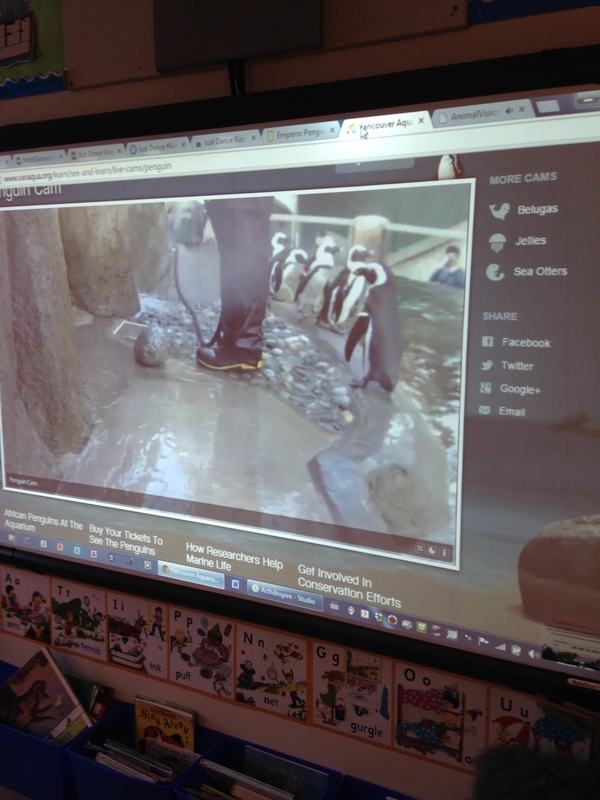 We have been having a great time learning about penguins! 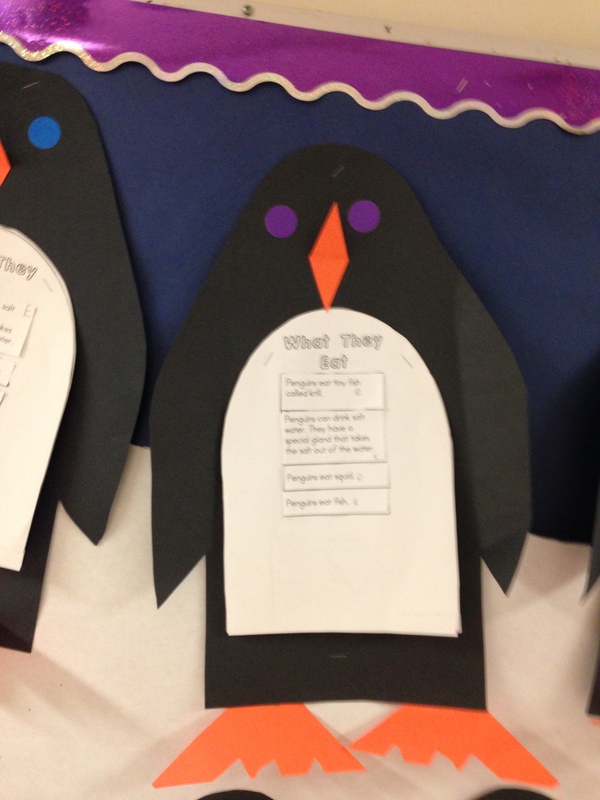 The children have been learning how to sort different facts about penguins into categories. They divided the facts into four different categories: What They Look Like, What They Eat, About the Babies, and Cool Facts. 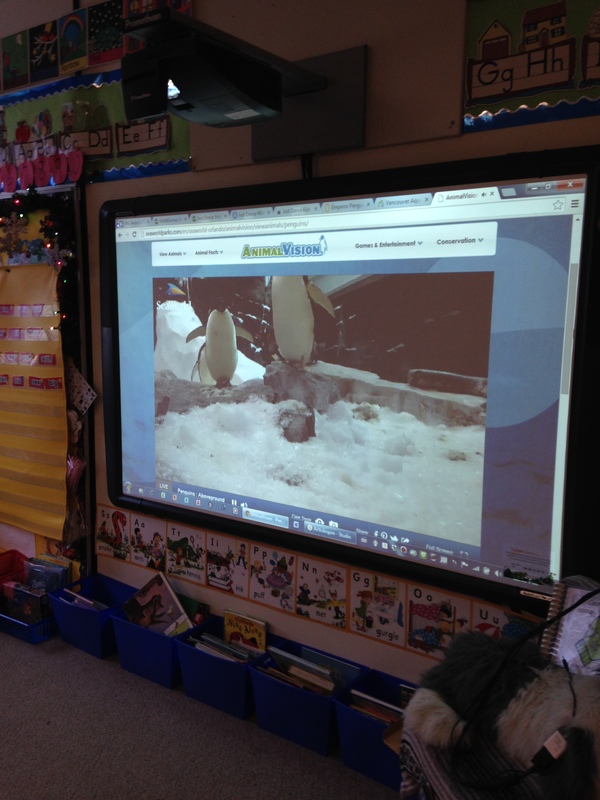 We observed the penguins in real time on webcams located at the Vancouver Aquarium and SeaWorld, Orlando. It was fun to watch their antics. Some of them were very loud! One penguin likes to play peek-a-boo with the camera. 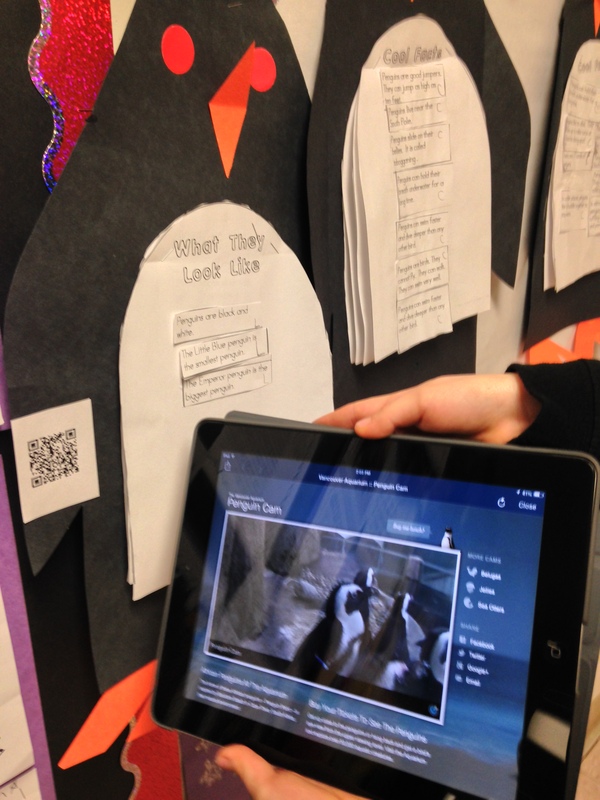 We added a QR code to our penguin reports that links to the Vancouver Aquarium penguin cam! 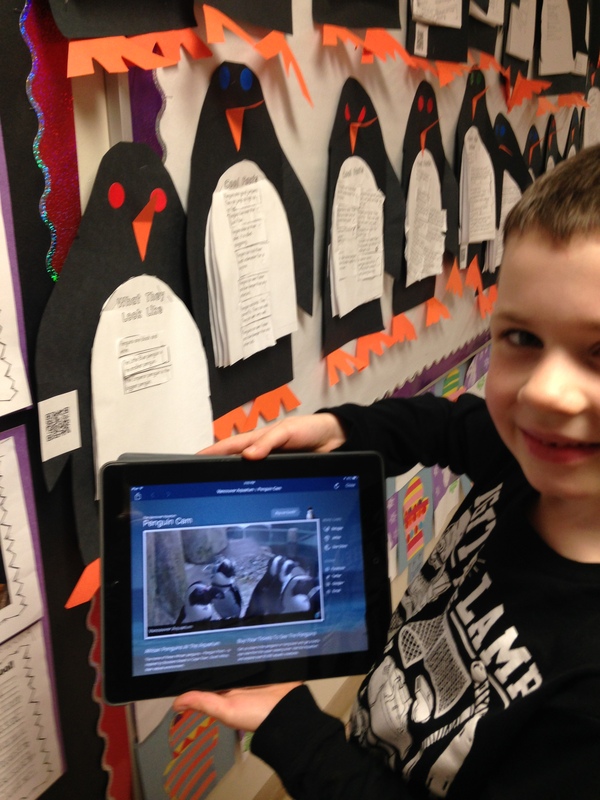 We use our Scan app to scan the code and it takes us directly to the Penguin webcam! It almost seems like magic! Here come the Snowmen! 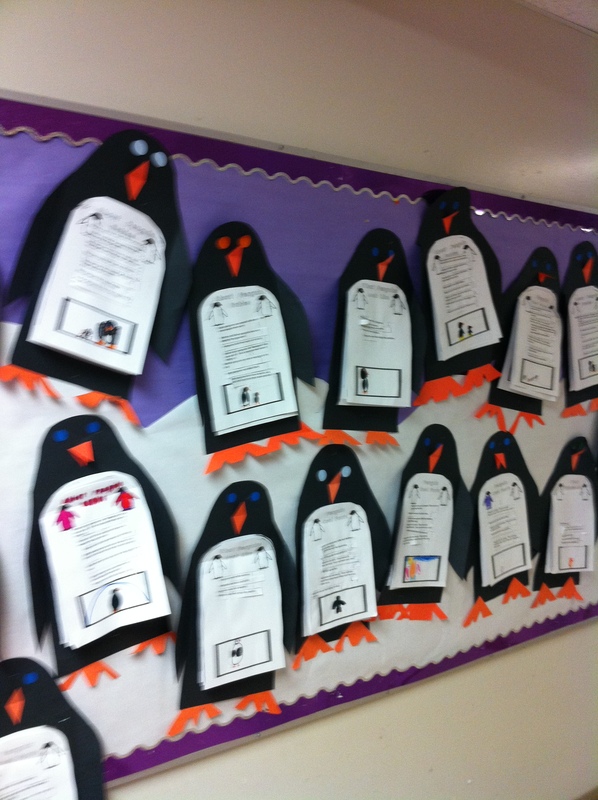 And the Penguins! 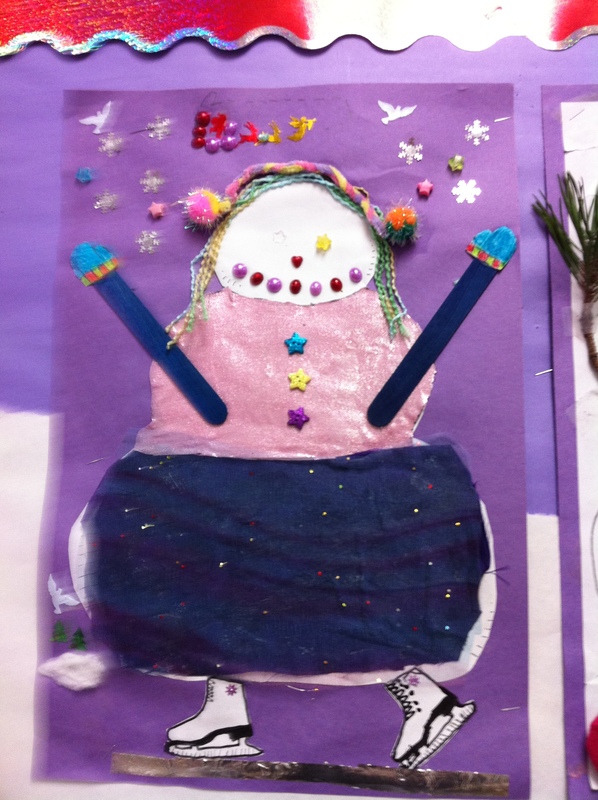 The snowman project is my favourite project of the year! The snowmen are absolutely fantastic! Thank you for supporting this project with such enthusiasm! 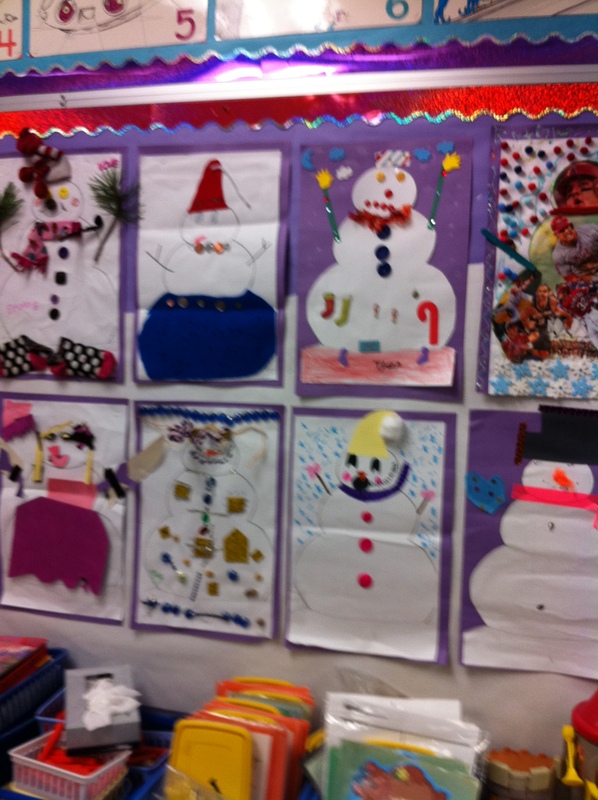 They are all so different and it looks like you had some fun making them! These are just a few of them. I hope to create a gallery online of all of them! 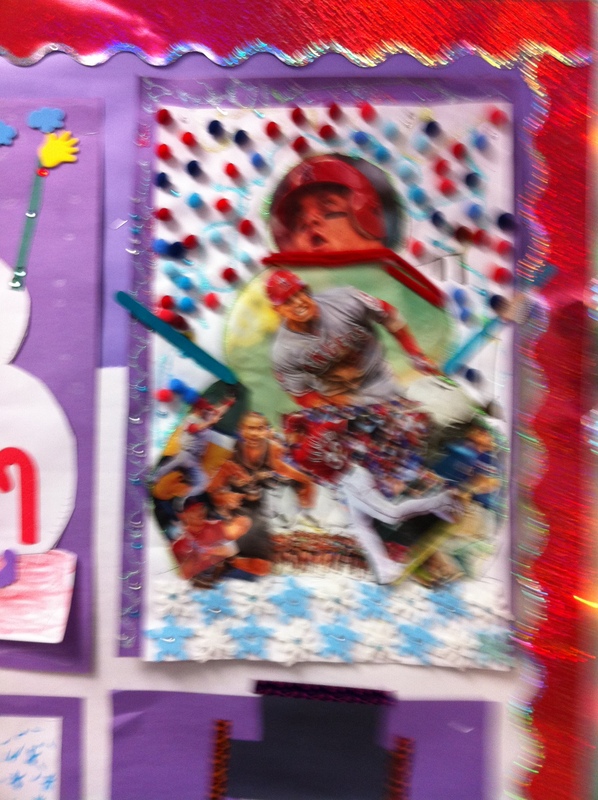 We are using the snowmen as a jumping off point for some writing we will be doing. 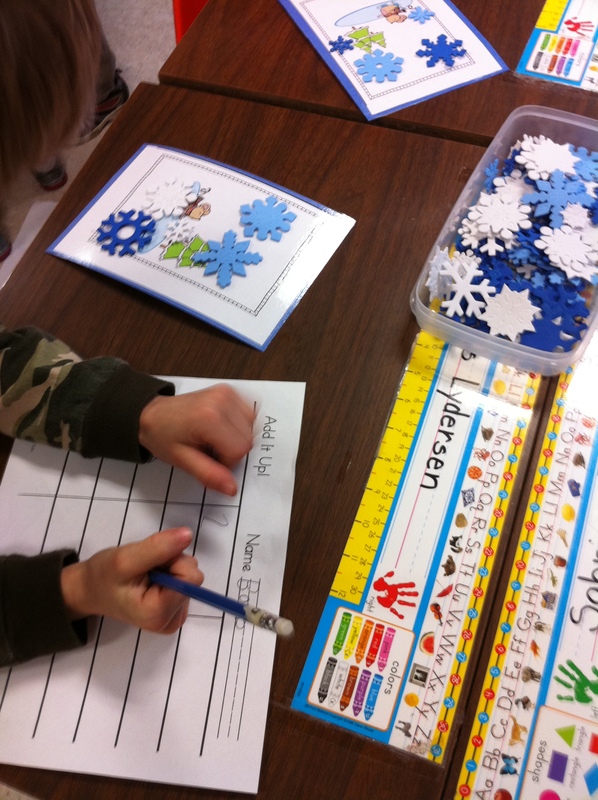 We are compiling some pages together to make each snowman’s story! We will be using My Story and Doodle Buddy to create the pages for the books! 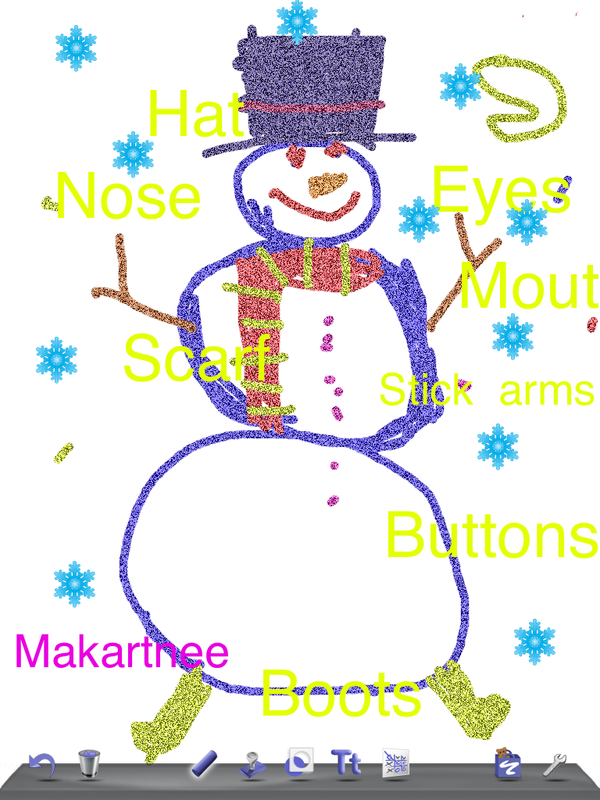 We have already made the diagram page using Doodle Buddy! I love the detail and the colours! The children just love drawing using the iPads. 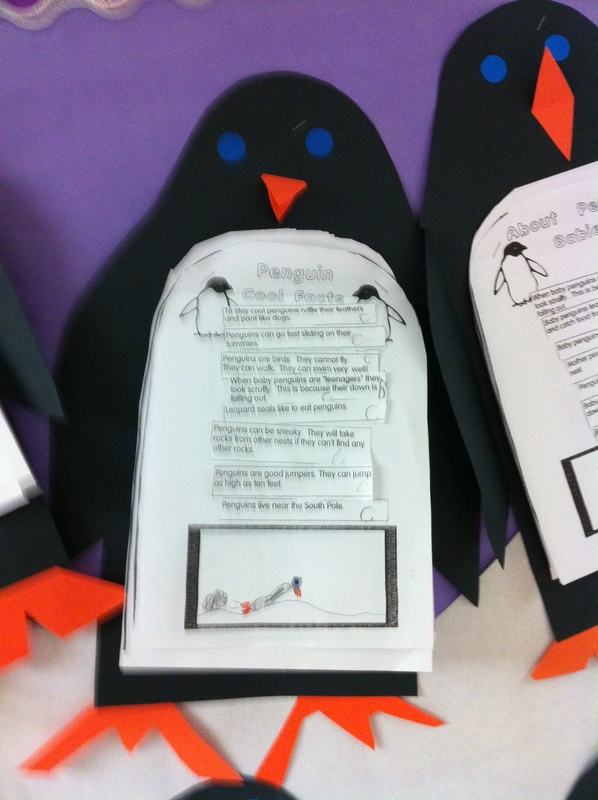 We have also been working on a small mini unit about penguins. 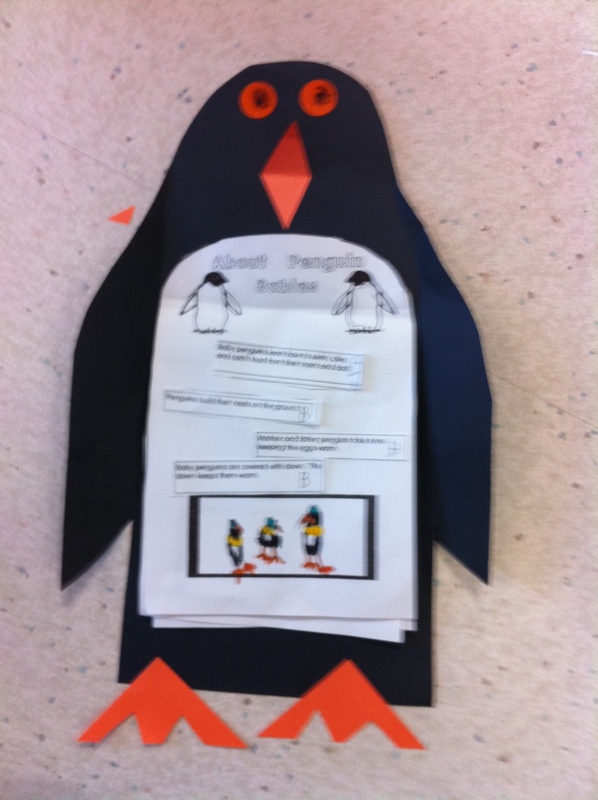 After reading several books about penguins and watching the penguin video on Tumblebooks we working on a penguin research project. We sorted a set of facts that I have compiled for them into four different groups. 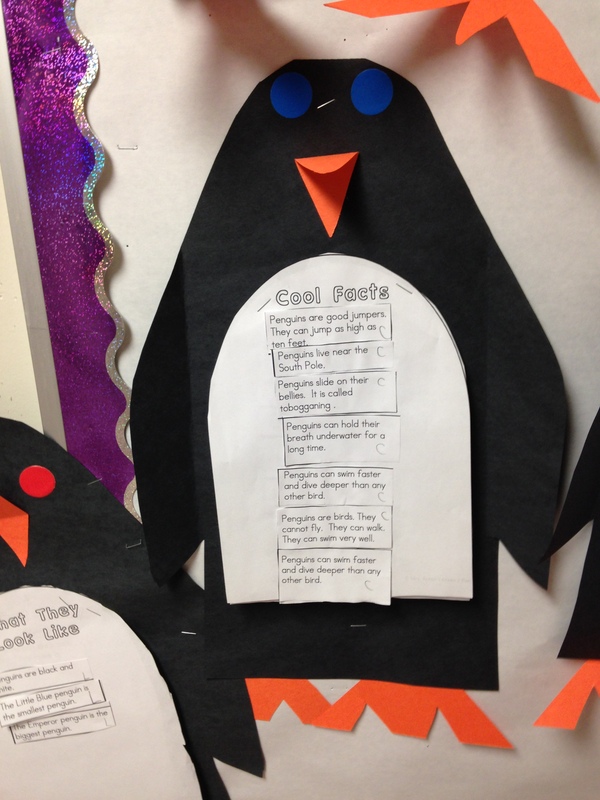 Then the children cut them out and glued them to the appropriate category page. This is the result! 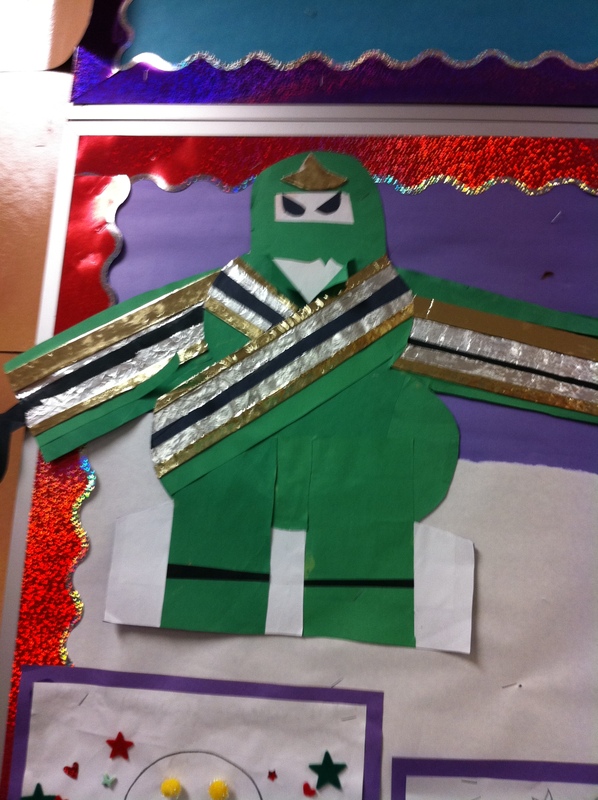 The children are quite proud of them! 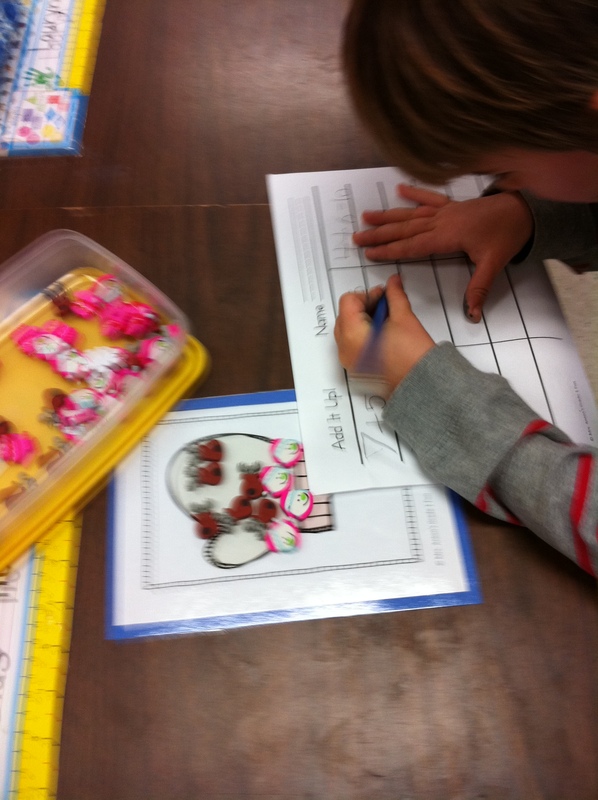 We are starting to work on place value. 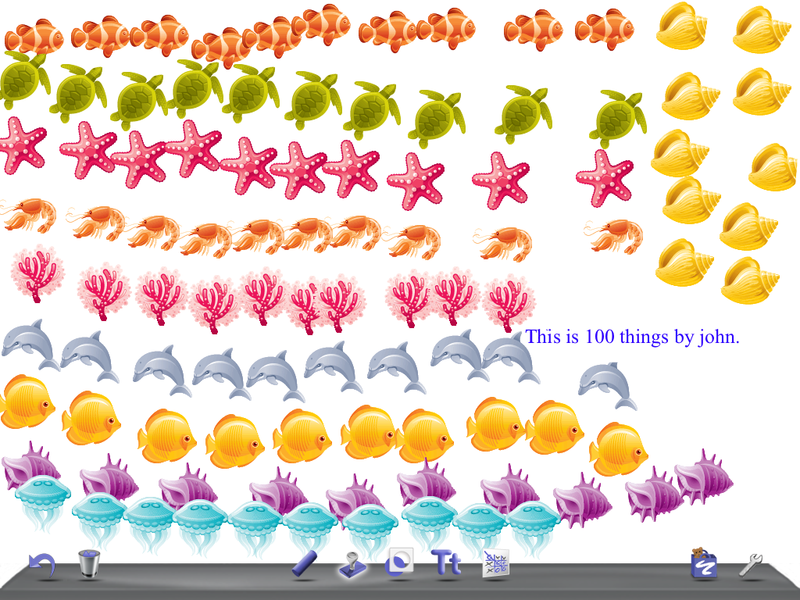 We used the iPads and the app Doodle Buddy to learn about making 100 things. The children had to make ten sets of ten different stamps using the stamp tool. They had a lot of fun and it was a great way of reinforcing the idea of ten sets of ten! 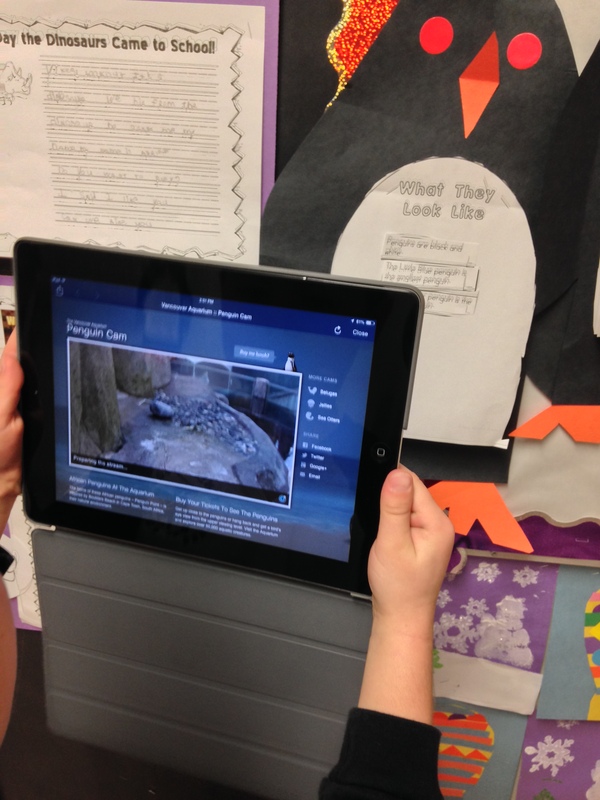 We have been learning a lot of different strategies to use to add. The most recent strategy has been using the number line. The children have learned to count on from the biggest number with counters and now they are using the number line to count on. They like that it is much quicker! 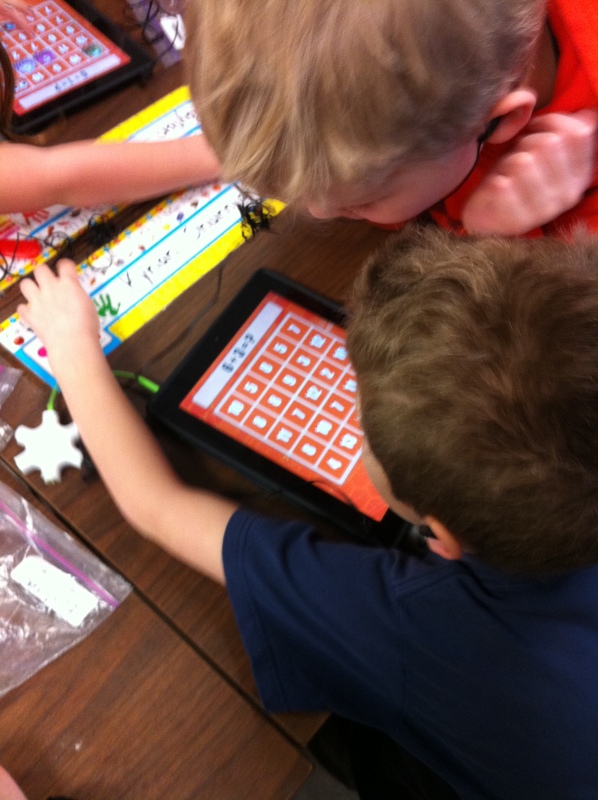 I have introduced the app Math Bingo. 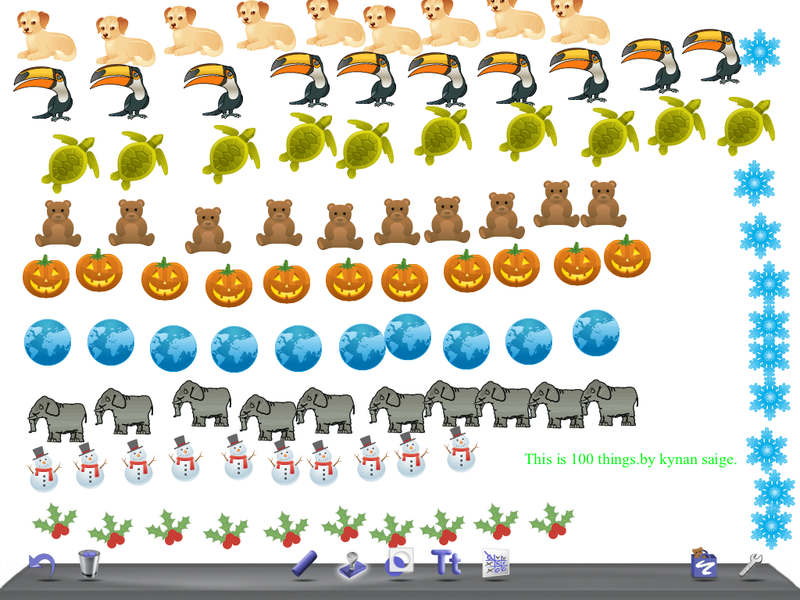 It is a great app that allows them to practise their number facts in a fun way. So far, we have only used the addition facts. 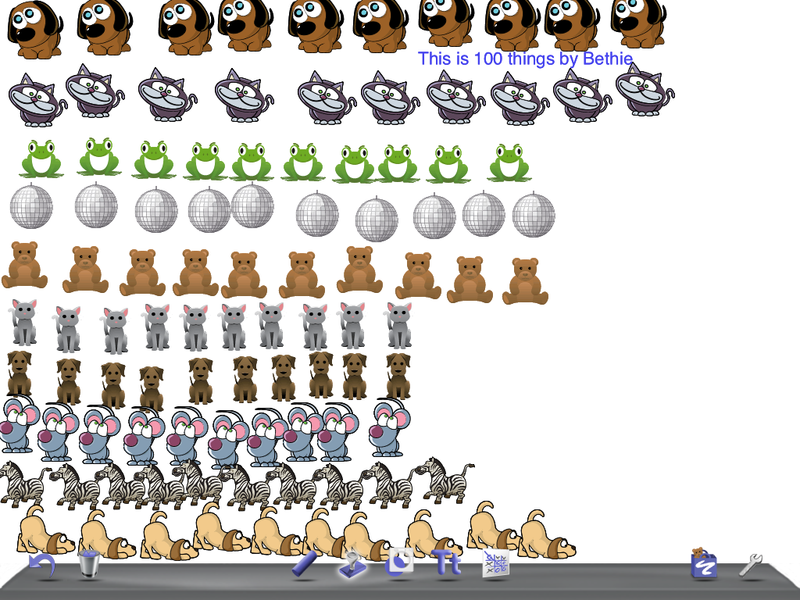 However this app lets them practise addition, subtraction, multiplication and division. So this app could be good for big brother or sister too! You can also find it on ABCYah! You can see that they use their number line to help them figure out the answers! Eventually, they will know them by memory with enough practise! We have also been working with some fun new counters playing Add It Up! Everyone makes a story on their workspace and then they go around and solve their friend’s stories. 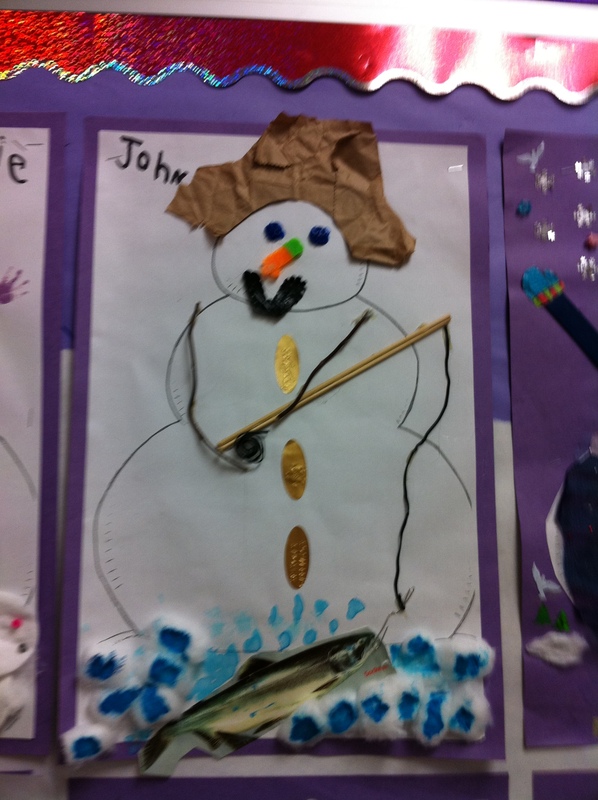 Here’s another one of the snowmen! Aren’t they great!